Lonley in LA this Xmas? 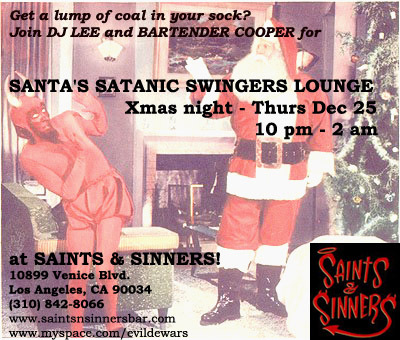 Come to Saints & Sinners! Bonanza of classic exotica/surf restocks and new items! Bigfoot Lodge New Years Eve bash 2009!